Heather has always been drawn to music and movement. 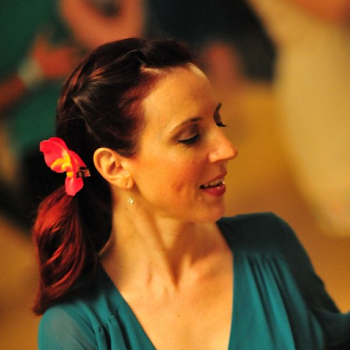 A regular competitor at events around the country, Heather has performed and competed with Denver’s champion swing dance troupe, 23 Skidoo, and since 2007 has directed and choreographed for Balboa dance teams The Grabtown Grapplers and Ballyhoo. Past teaching credits include Balboa Rendezvous (San Diego), Provence Swing Festival (Aix, France), Beantown Summer Camp (Boston), Rock That Swing (Germany), Twin Cities Balboa Festival (Minneapolis), and Rocky Mountain Balboa Blowout (Denver). She holds many competition titles, but her proudest dance achievement to date has been organizing and growing a group of mighty fine dancers in her hometown. She is known for her personal investment in her students’ success and is a popular instructor in greater Denver for Lindy Hop, Blues, and Balboa. Jenn travels all over the world for Balboa. If there is great Balboa, you’ll find her there, dancing until the wee hours with the biggest, most contented smile on her face. Fourteen years ago, a friend took her swing dancing, and she’s been devoted to that scene ever since, first as an student, then later as an avid competitor, organizer, advocate, and now as a popular instructor. 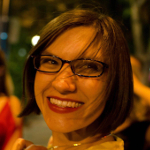 Her teaching style reflects her creativity, music background, collaborative approach, and partner communication. She is thrilled to be dancing and collaborating with some of the best Balboa partners out there. Her film titled “One Girl and Two Boys” won the Jazz Dance Film Festival, and she holds 1st place titles from the California Balboa Classic, All Balboa Weekend, the Eastern Balboa Championships, the Snowball and, Lindy Focus. Annabel is known far and wide for her huge grins and prodigious laughter on the dance floor. 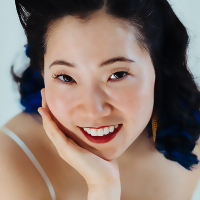 Always a student of music and a lover of swinging jazz, she was addicted to the communication and spontaneity of Lindy Hop upon her first exposure to it in 2003 at Colgate University. She continued to delve into swing dancing while at Penn State where she was also introduced to Balboa, Blues dancing, and Collegiate Shag. Through the years, she has social danced, taught, and competed in equal measure. She enjoys the challenge and camaraderie of competition, taking home top prizes in such events as the International Lindy Hop Championships, All Balboa Weekend, and the California Balboa Classic. Her enthusiasm for teaching began even earlier, first as a music theory instructor, and then as a swing dance instructor and curriculum developer in her local scenes from Penn State to Memphis to Boston to Washington, DC. In her teaching, Annabel emphasizes technique and critical thinking to give students the tools to explore their own abilities, inspire their partners, and have a good time! 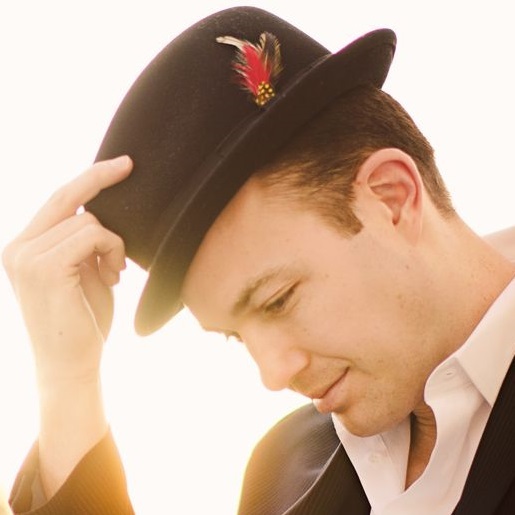 Microbiologist by day and dancer for the rest of his waking hours, Adam strives to provide a unique perspective combining classic swing technique with a modern ideology. Partnership and playfulness are the focus for Adam on the dance floor, creating a “yes and” environment for his partners and himself. Evidence comes in the form of Adam’s various Jack and Jill and Strictly Swing victories; not to mention the innumerable social dances. He brings the same positive environment to the classroom where conditioning drills, visual media, and demonstrations by students are commonplace. Nick has embodied the passion and spirit of swing dancing ever since his first lesson in 1998. The depth of his understanding of Lindy Hop, Balboa, and Collegiate Shag stems from studying with the original dancers. Nick’s desire for authenticity, combined with his passion for dance evolution, leads to a style known for precision, lightness, musicality and dynamic energy. 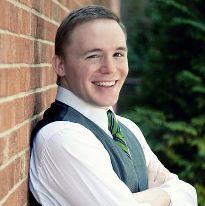 As an instructor, he is known for his ability to break down movements and technique to create a fun and light-hearted learning environment. His true love of music and dancing will forever inspire him to learn, teach, and grow.